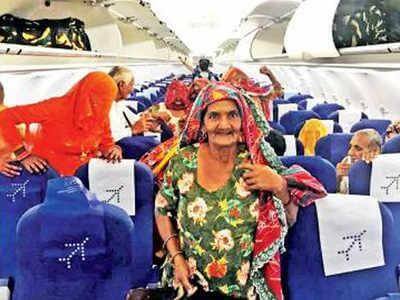 A group of senior citizens in India took what was for many of them the first airline flight of their lives, and it was all thanks to a promise made by Vikas Jyani. Jyani had always dreamed of becoming a pilot. Before he left the small village where he grew up, he made a promise to the elders he had been raised to love and respect that, once he had successfully become a pilot, he would return to the village and take them all for a flight. The entire village believed he could reach his dream, but they were even more inspired by how he kept his promise even after his success. Most of the seniors who were on the flight had never flown before. Jyani flew them from New Delhi to Amristar, where they visited the Golden Temple and Jallinwala Bagh. “Many people make promises to the elderly, but he kept his word,” 90-year-old villager named Bimla said.